In our process of tyre crumbing, High quality Carbon Spring Steel Scrap is generated which can be supplied in free loose form and also in form of approx.25 kg compressed bales obtained after cleaning & mild thermal process. We are supplier of Carbon steel scrap. Specification :Dimension : ASME 16.11, MSS SP-79, MSS SP-95, 83, 95, 97, BS 3799Standards : ASTM A182, ASTM SA182Size : 1/4" NB TO 4" NBClass : 2000 LBS, 3000 LBS, 6000 LBS, 9000 LBSType : Socketweld Fittings & Screwed-Threaded NPT, BSP, BSPT FittingsForm : Bushings, Hex Head Bushing. We are a renowned Carbon Steel Scraps Supplier in India. The Carbon Steel Scraps offered by us, has light weight and anti-corrosive properties. 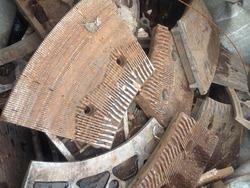 The Carbon Steel Scraps is demanded for different industrial applications. A silvery metal that resists corrosion even at high temperatures. We are ranked on top by offering the best quality of Carbon Steel Scrap, which is known for its remarkable finish and quality. LPG grade as per IS 6240 , Steel Scrap. Being a leading firm in this industry, we are deeply engaged in offering a high-quality range of High Carbon Steel Scrap. We EPC EXIM TRADING expertise in Carbon Steel Scrap, which is widely used for recycling process. 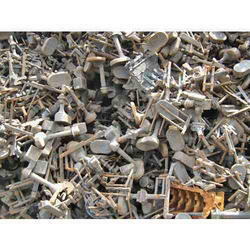 The CS Scrap have high demand market, owing to its easy recyclable and high strength. We offer these products to the clients at low prices.